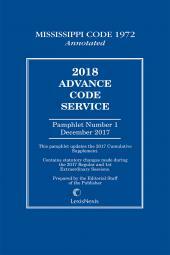 Keep your Mississippi Code of 1972 Annotated up to date with 3 annual pamphlets containing the latest primary and case law. 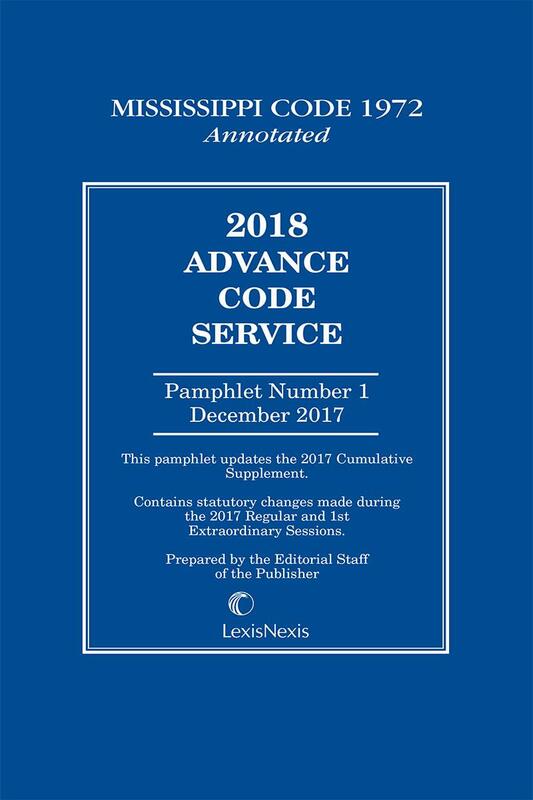 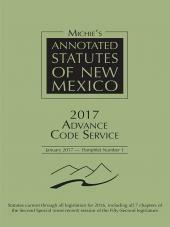 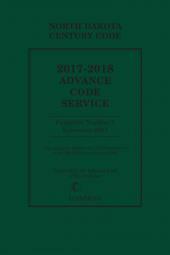 The Mississippi Advance Code Service is a series of three cumulative paperback pamphlets published during the year between legislative sessions to keep the cumulative supplement to your Mississippi Code of 1972 Annotated up-to-date. 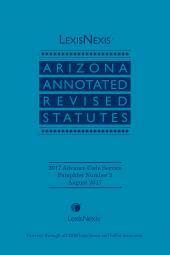 Inside you'll find statutory materials including updates to delayed legislation, draft versions of sections affected by emergency legislation prior to their publication in the next year's supplement, as well as case law annotations based on decisions of the state and federal courts and the U.S. and Mississippi Supreme Courts to keep you informed on recent changes or corrections to Mississippi primary and case law and help you get the most out of your Mississippi Code of 1972 Annotated.